What an amazing time to recognize all the potential good G-d will give to us and the potential that develops within ourselves! 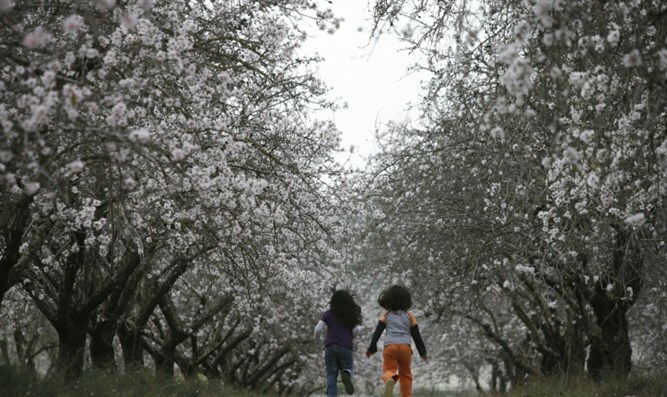 In this new month of שבט, we shift gears and begin to focus on nature around us, anticipating the blossoming of spring. We as humans are dependent on the earth we live on. However, as often is the case, we get caught in the swing of life and forget to be present and take notice of the transformations happening around us. Perhaps, in order to fully realize human dependency and enjoyment of earth in all its seasons, as Thoreau stated, we must take time to notice and be fully present in each season as it comes and even more so, appreciate each one for the beauty that it brings. Within Judaism this is an essential and prevalent message. Throughout Jewish literature, there is a constant emphasis on the importance of nature and its interplay with man on a very elemental level. The Jewish holidays are created with the agricultural seasons in mind. Each one is designed to reflect upon the physical place that we are in and apply that to our own spiritual space. One can see this in שמות where the holidays are referred to as times of harvesting, planting and gathering. Moreover, the concept of Land is tied to our identity as Jews. Essential and sacred to our fundamental existence is the Land of Israel with the מצוות התלויות בארץ, that tie and cement our destiny to our land. As we thinks about the connection between nature and spirituality, we can see that there is something very deep and innate in every human that connects them to the earth. The question remains what is it about nature that makes it so connected to the development of man? When we look to the Torah and examine nature within the texts, we can see that nature is the ultimate reflection of G-d’s relationship with man. This is clearly reflected in what the reader sees in the passages speaking about the creation of the first human being on earth- אדם. 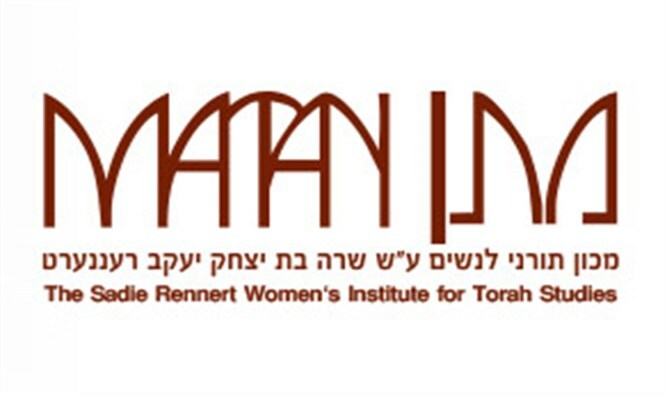 In בראשית, the text shows how man was created and then placed inside גן עדן to guard and keep it. The Torah also reflects G-d’s desire for man to enjoy the land and the trees He provided for him. “G-d said, see I give you every seed-bearing plant that is upon all the earth, and every tree that has seed-bearing fruit; they shall be yours for food. As one delves further into the structure of the days of creation, one can see that there is a certain parallel structure at play with each day of creation corresponding to another day. This is seen in linguistic as well as thematic similarities. As one looks further, one can see that the third day of creation (creation of land and trees) is parallel to the sixth day of creation (creation of animals and man). The parallels can be drawn with the same command of פרו ורבו (to multiply and procreate) This parallel between the days shows a connection based on fertility or the ability to reproduce and create, one of the qualities that we share with G-d and forms a constant connection and partnership with Him. Beit Hillel stated that through the medium of nature, G-d reveals Himself to the world. Perhaps this is due to the fact that nature provides G-d and Man a space to “work together” and make a connection. All of this put together reveals a larger picture of nature and our connection to G-d. Our sacred duty as human beings is to connect to nature and remember our Source. We are told to be creative beings and be fruitful, physically but also spiritually and emotionally with ideas. We have been given a gift and טו בשבט is a time where we can refocus our energies on that gift and deepen our relationship with G-d. Indeed, one of the most vivid descriptions for our love of G-d is found in שיר השירים in פרק ב which provides beautiful imagery of blossoming springtime in the land of Israel and its symbolism of our blossoming love for G-d. In מסכת ראש השנה we read in a משנה that ראש השנה is the official new year and טו בשבט is the new year for the trees. Just as we use ראש השנה as a time to introspect and think about our relationship with G-d, on טו בשבט we have the opportunity to think about our relationship to the world that G-d put us in. Through that, we can realize the truly wondrous planet we live on and express our gratitude for all the pleasure we receive from the world. Moreover, everything in טו בשבט is still in potential, as seeds are still growing in the ground. What an amazing time to recognize all the potential good G-d will give to us and the potential that develops within ourselves! May this new month be a time where we notice the budding creative potential within ourselves and feel a sense of rejuvenation and התחדשות. May we be able to truly recognize the abundance and beauty of our world, utilizing it to elevate and deepen our relationship with G-d. The monthly Matan Rosh Hodesh essay is in memory of Edythe Benjamin חיה בת שלמה beloved mother of Barbara Hanus. Chaya Menasse is originally from Monsey New York. She graduated from Yeshiva University with a degree in Jewish Education and Psychology. 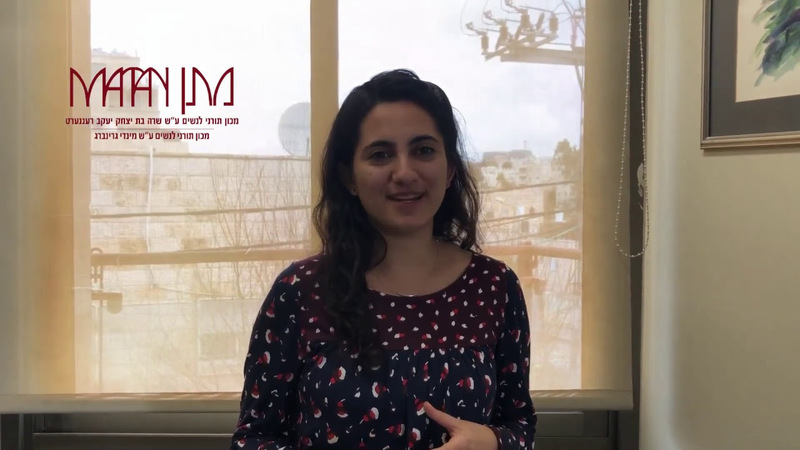 She is currently learning in Matan Bellows Eshkolot Educators Institute as well as working as a madricha In Midreshet Torah V'Avoda and studying for her Master's degree in Jewish Education from Hebrew University.